Finding the right dealership to purchase your next car from can be a tricky matter. First and foremost, you need a dealership that actually has the vehicle you need or want. When you buy new, this is fairly easy since most brand dealerships like Dodge carry a healthy inventory of current models and trims. Used may be slightly more difficult since you are limited by the availability of certain vehicles at any given time. Beyond the vehicles, however, a dealership needs to meet your needs in terms of service and communication. This is what makes a Dodge dealership like Frank Kent CDJR often the better choice. We make it easy to find the perfect vehicle, new or used, in a little amount of time so you can get on the road quickly. Better still, we give you our undivided attention so you know we are there to meet every automotive need you may have. 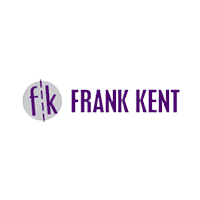 When you need to get service done, research new models, take a test drive, explore financing options, or anything else, Frank Kent is the way to go. Combined with Dodge’s history of performance and satisfaction, you cannot go wrong. When you think of muscle cars, Dodge is likely to be one of the first brands that pops into your mind. After all, it is responsible for giving the world some of the most iconic vehicles, such as the Challenger and Charger. Dodge has been around since 1914, and through the years, it has become a staple of American culture. There are many reasons why you should choose a Dodge dealership if you are looking for a new vehicle to purchase. Why go with Dodge in the first place? Many customers have discovered the unique performance Dodge vehicles offer regardless if you are looking for a car, SUV, truck, or van. With the consolidation of the Dodge and SRT brands in recent years, you have a complete and an amazing lineup of performance vehicles that shine like stars within their segment. While SRT is considered the “ultimate performance” brand, Dodge is the “mainstream performance” brand, and when they work together, the result is a creation of a balanced and complete performance brand. Dodge is an automaker that strives to transform everyday vehicles into those that allow you to make a personal statement. When you step into a Dodge dealership, you can take your pick from some of the best-known performance vehicles. Over the years, one of the things that Dodge is known for is that it makes vehicles that fit the needs of every buyer. The vehicle lineup definitely knows how to please a crowd. Whether you are in the market for a reliable sedan, looking for a family-friendly SUV or minivan, or want to get an adrenaline rush with a sporty performance vehicle, you are sure to find a vehicle from Dodge that satisfies you. What makes Dodge stand out among carmakers is that it offers a vast range of vehicles that are designed to meet the needs of everyone from soccer mums to car racing enthusiasts. When you get behind the wheel of a Dodge vehicle, you will always find incredible power and best-in-class horsepower. One of the many things that the brand is known for is its powerful engines. From the award-winning Pentastar V6 to the HEMI V8 and many more, you can always expect to experience white-knuckle thrills from the vehicle that you choose, even when it is behind the wheel of a sedan or a minivan. You will never be disappointed by the power and performance you get from a Dodge. You can always expect to find exclusive technology and the most advanced features when you choose a Dodge. The moment you step into a Dodge dealership and check out their lineup, you will notice that the vehicles are equipped with top-of-the-class technology to keep you connected and entertained on the road and an impressive range of features to make sure that you have a safe and luxurious ride everywhere you go. When it comes to technology and features, there is one thing you can always count on – you will get nothing but the best. From the latest infotainment systems to state-of-the-art active safety features, you can always be sure that a Dodge vehicle will have it. Dodge knows that the major factors that buyers have in mind when they are looking for a new vehicle to purchase are capability and dependability. Whether you need a vehicle to drive the kids to school and run errands, tow materials for a job, haul luggage or just brave the various driving conditions in your area, it is important to have one that is both powerful and capable. You rely on your vehicle to make your everyday life easier to handle, not just take you from point A to point B. With a Dodge, you can have a capable one that you can always depend on, no matter what your needs. When you go to a Dodge dealership, you can be sure that you will find a vehicle that suits any lifestyle or budget. The brand, as mentioned earlier, is known for making vehicles to suit every need – the same is true for the budget. You can pick from an array of high-end luxury vehicles or opt for a more affordable choice. Dodge dealerships also offer used vehicles, so you can get a great vehicle from the brand without spending a fortune. These dealerships will have used or pre-owned Dodge vehicles that are in excellent condition, ensuring that you drive a vehicle that will not give you any problems. No matter what your budget or lifestyle, you can be sure that a Dodge will be the perfect fit. Dodge offers many great deals on their vehicles and excellent service to ensure that you are 100% satisfied with your purchase, whether it is a brand new or a used vehicle. You will find an inventory with every Dodge to ensure that you have the widest selection to choose from. There will be a team of knowledgeable and friendly professionals who will take care of your every need so that you can take care of everything in one simple visit. You do not have to worry about fine prints, runarounds – all you get is top-notch service to help you buy your dream car every time you walk into a Dodge dealership. There are many reasons to choose a Dodge dealership. Apart from the fact that they have a lineup of the top vehicles in the automobile market, you get the best deals and services to make sure that you have the ultimate car-shopping experience. The goal of every Dodge dealership is to help you buy the vehicle of your dreams and make automotive ownership simple and convenient. Whether you are shopping for a brand new vehicle or want an affordable, high-quality pre-owned one, you can be sure that you will find what you are looking for at a Dodge dealership in your area.